Earlier this week, BMWBLOG and BMW USA unveiled the all-new BMW M5 with M Performance Parts through a Facebook Like session. Our host was Matthew Mostafaei, Senior Product Manager Aftersales, BMW of North America who walked us through add-ons on the M5 M Performance Parts. One of the most important M Performance upgrades on the new M5 is the exhaust. 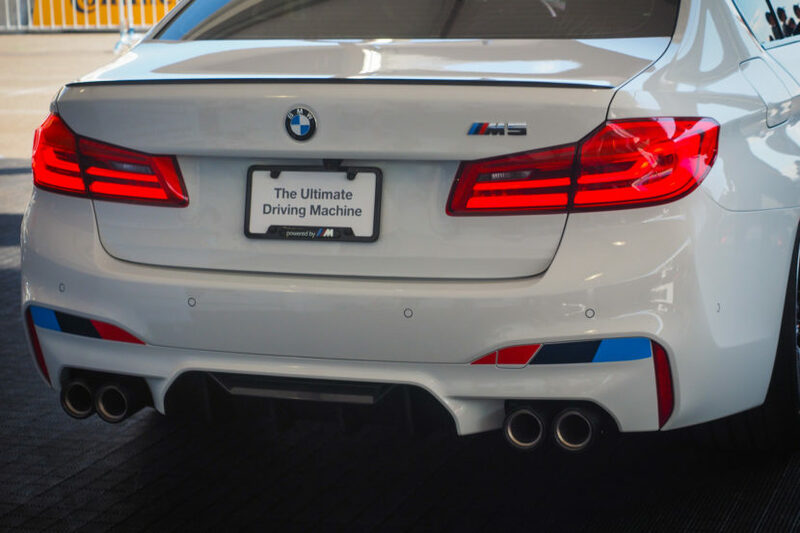 The M Performance exhaust adds some more aggression and raciness to the 4.4 liter twin-turbo V8’s noise. Not that the M5’s V8 needed any help sounding angry, this M Performance exhaust is even angrier. The rear muffler is made from titanium with carbon fiber tailpipe trims additionally available. Optimized exhaust gas routing with reduced counter-pressure enhances the powerful V8 TwinTurbo sound and underscores the sporty driving experience. 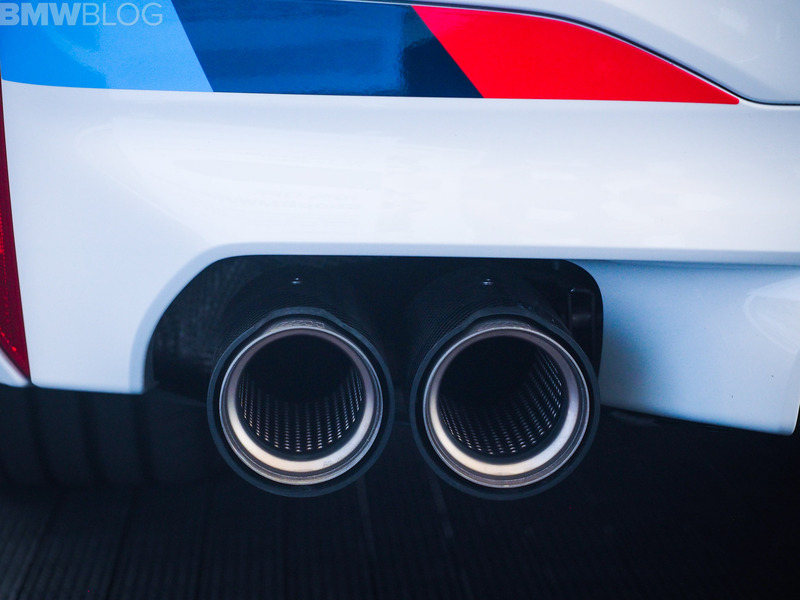 To test the new M Performance Sport Exhaust, we asked Matt to do a cold start and a few revs. Most of the upgrades are cosmetic and aerodynamic, with a suite of carbon fiber bits. However, there are some performance upgrades as well. 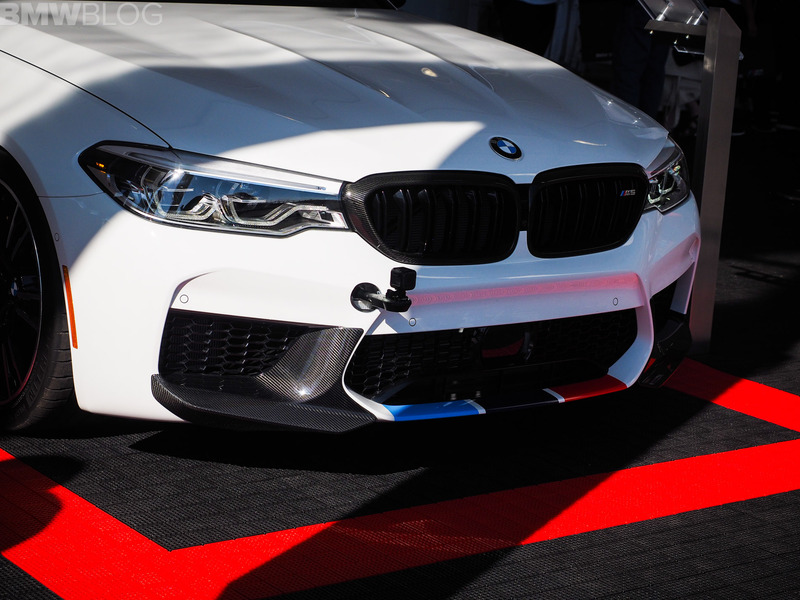 There are carbon fiber Kidney Grilles, with the “M5” logo, carbon fiber mirror caps and carbon side skirts, that bear the “M Performance” name. There’s also some carbon trim on the lower front air intakes and M-colored stripes. Inside, a new carbon fiber M Performance steering wheel gives the cabin a racier, track-oriented look. The new wheel’s odd geometry, carbon fiber inserts and Alcantara bolsters make the cabin look like it’s in a proper track car. It also comes with new carbon fiber paddle shifters. There’s new carbon shift lever, as well. As far as the performance upgrades, a manually-adjustable M Performance coilover setup is available. 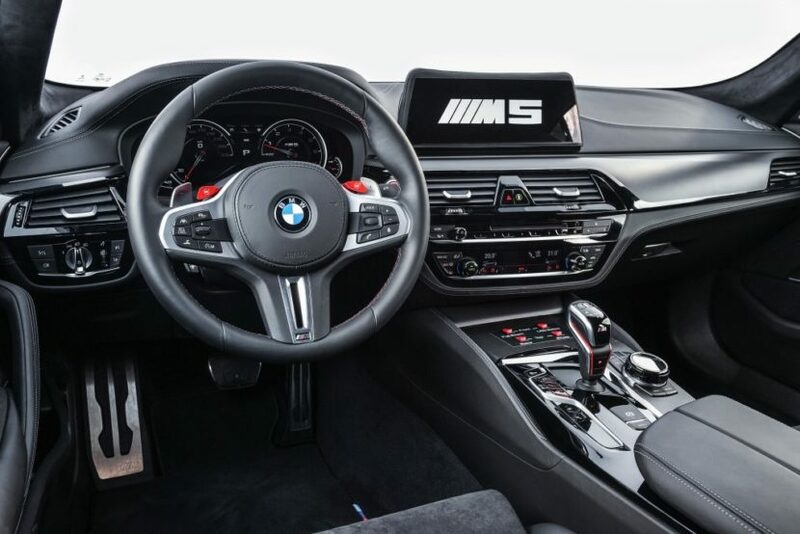 These exclusive M Performance Parts for the F90 M5 will be available as options during the time of ordering when the vehicle is launched in the Spring of 2018, with additional products following in July 2018.